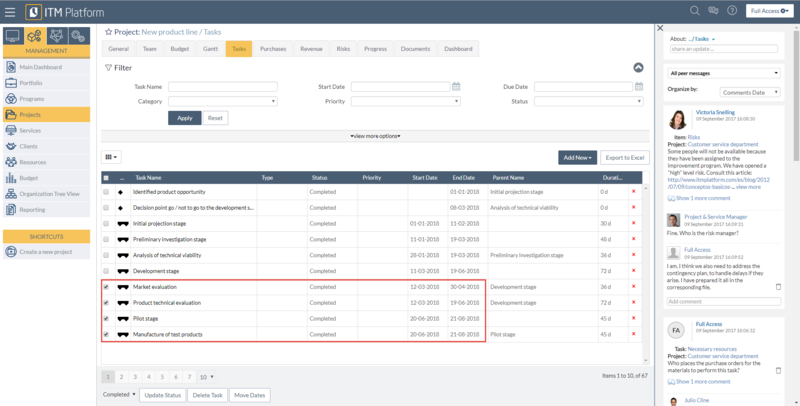 You can move dates for multiple tasks, summary tasks and its subordinate tasks. This can be done within the Tasks section of a project, selecting the tasks you want to move. These can be regular tasks, summary tasks or milestones. Anything as long as there have no reported hours on them, which would block the start date. 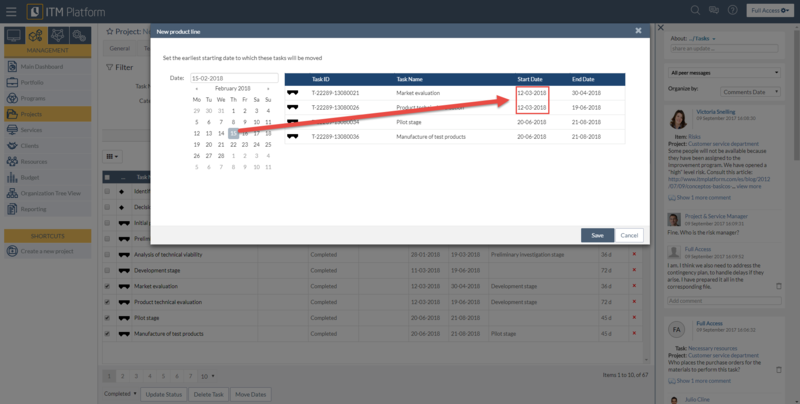 Once you click on the button Move Dates, you will be asked to enter the starting date to move the selected tasks to. Notice that you will be setting the earliest date for the first task. All other tasks will move accordingly, respecting the distances between them, regardless whether there were dependencies or not. If you selected only some tasks inside a summary task, they will move and so will the start or the end date of the summary task, respecting the ones that you didn’t touch.